Why should you choose Reverse Time? Emma: Hi there, I was just wondering if you could tell me, at Reverse Time what it is that you do differently? So if I came to see you, what treatments would you offer – what makes you different to other places if I wanted to be treated? Because so many places now offer Botox, fillers, so why should I come to you? Aarti: A really good question, and it’s something that is often really hard to explain, because of the way people sell “treatments”. All the time I get this thing about “I want this treatment, or that treatment”. Now that is where the difference is. You don’t go to a surgeon or a doctor, and say “I want an appendicectomy” you go there saying “my tummy hurts” and then the surgeon asks you “where does it hurt, and how long has it been hurting” and then you point to the right side of your tummy, and then that’s called sign elicitation. The surgeon checks you up, and finds out that there’s a high chance that you’ve got inflammation of the appendix, and then plan to go for the appendicectomy. But what’s happened in this whole industry is upside-down. For most people, just because they’ve got hold of the treatment first, that is then everything they know. Like, when you got only one hammer, and everything around you looks like a nail. So people go for the treatment, and when there’s something that does it better. Like they say “oh I want some Sculptra” But then hey – do you really have a deficiency of collagen? So because that’s what it’s going to trigger for you (collagen production). “Oh but I’ve got lines on my face, I want Sculptra! ?” No it’s not going to work for fine lines. The concept of the Reverse Time way of treatment is treat the person’s problem or condition. So treating you, so for example – if you come into my clinic and say “oh I want to have all these things done in a mini facelift done” I would say first of all like “You look absolutely stunning and you really don’t need it (a facelift)” that’s the first thing. But then you point out certain patchy areas next, when you take your makeup off and then you show me all that pigmentation, then I examine you and ask you “So what are these little scars?” and you say “oh that’s my acne”; “mmm, so wha, are you still having acne; and in your 30s?” and you said “yeah” and I go “oh so you’ve got acne. The acne goes, and it leaves little dark patches. And that’s what we call post inflammatory pigmentation. So what we will be treating is the problem that is causing the acne, and that will protect your skin from getting worse, and that will make sure that you take care of the skin. And we also remove the colouring that’s happened. So we do three things: 1 – diagnose and then 2 – protect from further damage happening, and 3 – treat what’s happened so far. So everything any medical aesthetic clinic should do, is basically to promote the health of your skin; protect what’s already there, maintain it and make sure you don’t damage it further. There’s loads of education involved, so that’s why I get people to come in for a consultation. Why is it important to be treated by a regulated provider? Aarti: People have asked me – what is the big deal about regulation. I will discuss this in this video, because it is quite important. This is why there is a difference between whether you go and have it done in a salon by a beauty therapist, who is trained to do these treatments. You don’t know the difference until things go wrong, because when something happens, and the person who treated you is regulated by somebody higher up; so if it’s a nurse was regulated by the nursing register, or a midwife, or a doctor was regulated by the General Medical Council; the regulators will totally come at us with pitchforks and torches if we harm a patient. Our pin numbers are very important to us, so we will do anything to protect our patient. Believe me there are no clients in these treatments. When a doctor sees a patient, the person is a patient! I would treat them as a patient. I am a GP, and I would not offer private services to a patient who is an NHS patient under my care. Now that is part of the GMC ethics. There are new regulations for cosmetic treatment from the GMC; it is regulated believe it or not. Tthere are so many things we have to do, like any other medical treatment and we have to remain on that register. And that is the standard of care you get from a doctor, who’s trained to do this, and who is actually proven that they are doing this to a high standard over a period of time. Not someone who has taken two days of training! The GMC discourages doctors from carrying out independent treatment unless they have logged ten accounts of that treatment, supervised by someone who’s experienced in it. This is just the same as doing a hernia operation. We used to get it signed off during hospital training. Similarly, we have to get these procedures signed off now before we do them. So none of your 48-hour trainings and doing it. So having said that, then there’s medical insurance. Insurers insist that we act within our own competence, which means don’t do anything that the insurer hasn’t checked out, and confirmed that you can do it. However, insurance cannot replace regulation, simply because insurance kicks in only after the fact. Regulation on the other hand, aims to foster a mindset of keeping patients safe from harm. So no testing things on patients. No trying out something saying “oh the patient wants it, let’s do it, because they’re paying for it”. If the patient demands an unsuitable treatment saying “I’m paying for it, you got to do it” I will strictly tell them No. What treatments do you offer at Reverse Time? At Reverse Time, I offer a specialised medical aesthetic consultation to assess your skin, how it is aging, and what would help repair past damage, improve its condition and maintain skin health. I offer medical aesthetic treatments for skin conditioning and pigmentation, such as prescription skincare (Obagi systems), medical grade skin peels (SkinTech TCA peels, Obagi Blue peel Radiance), Platelet rich plasma regenerative treatments for face, scalp and body, injectables like dermal fillers (Restylane, Juvederm), collagen stimulators (Radiesse), bio-remodelling and skin tightening (Profhilo), PDO and Silhouette Soft thread lifts. Plasma skin resurfacing for aging skin and acne scarring is one of our popular treatments, along with localised fat reduction using Aqualyx and non-invasing body contouring with TriLipo tripolar radiofrequency. Perhaps the most popular recently is bio-identical hormone therapy, which I am excited about and enjoy providing. Skin health and abnormal aging are intimately connected to internal health, nutrition, hormonal balance, weight problems and stress in all its forms. At Reverse Time we understand this and take a holistic, combined approach to treatment. Emma: So at Reverse Time, what treatments is it that you actually offer, because I know nowadays there’s so much, isn’t there, that’s on the market for all sorts of skin conditions; cosmetic treatments, things like stretch marks, fat laser removal, all sorts of treatments, so what is it specifically at Reverse Time that you offer? 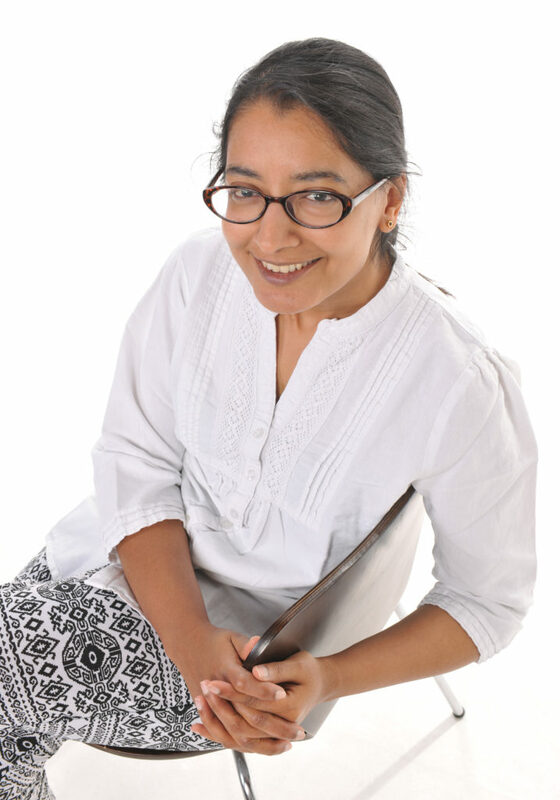 Aarti: At Reverse Time, what I do is, I combine my skills as a GP, my years of cosmetic/ aesthetic work, and put them all together with my hormonal knowledge, having been a women’s health doctor prior to this. So I would treat problems with pigmentation in the skin, so starting with any issues with the color of the skin, being too much or patchy or too little, so that would be treatments like Obagi – you probably heard of Obagi so that’s like systems, selected systems, prescription skin care, all that goes into treating the skin. I also do certain peels, not the heavy peels but gradual, medium peels that can take away existing damage (SkinTech peels) – these are courses. I also provide what’s called a platelet-rich plasma treatment (Vampire facial), that is basically taking your own blood, centrifuging or spinning it separating the bits out, and then putting the best bits back in. They contain the growth factors and stem cells that can actually rejuvenate the skin. So these are the rejuvenating treatments, maintaining and rejuvenating. All my patients will go through a rigorous check of whether they’re using the right things for sunscreen. Now this doesn’t have to do with brands, I don’t actually sell any brands, but it’s more checking what they do. The only brands I personally know would be Obagi and NeoStrata because they’re prescription things. Treatments for existing damage or heavy lines, first finding out the cause of the lines, deciding whether an injectable treatment like botulinum toxin (Botox) or dermal fillers (like Restylane, Juvederm) will suit them, and if they’ve got age-related volume loss, or illness-related volume loss. I see a lot of people come in with a gym face where the rest of them is like fantastically fit, but their face looking like…….but there’s like, I can’t really tell them to eat more fat, so I can restore it back to what it’s supposed to look like, but not anything that would distort their face; so that is very important. I can restore their natural balance back to their face. In that group, you get treatment with all sorts of dermal fillers. Which filler? depends on the problem. How much I use – depends on the problem. Each patient is unique and each patient gets a particular way of treatment. But everything is standardized in the sense that I only use the products the way they’re supposed to be used. At the moment I don’t do laser fat removal, but I intend to offer this. I do Aqualyx fat dissolving injections, which help to change fat into fiber over a period of time. I do a pretty good treatment of stretch marks, I won’t go into the details, but it does involve the platelets as well as a few other things. What are the prices of your treatments? Emma: So just another question in regards to your pricing. These procedures are known to be quite expensive. So how do you determine the price of what you do? Aarti: Pricing of procedures, I know we get different messages about how procedures are priced. For example, someone says “I will do one area of Botox for £99”. Then another person says “I will do the whole face for £99”. Firstly, it has to do with how much product and what product you’re using. That is there, I agree. Consider that a one vial of Botox costs no less than £89 or so, and other brands a bit less. None of them are cheap. As long as you get a good brand you are roughly spending £60 to £80 pounds for getting that one vial and getting it on prescription, so it is the doctors time and the prescription time as well. And thus, the national average for a wrinkle injection treatments like botulinum would vary between £250 to £350 pounds. So it is trying to keep within that margin really. About these treatments areas: I wouldn’t be too precise about the areas before assessing the patient. Again, the number of areas needed to treat will depend upon the person you are treating. The bottom line is that you’re not really looking to spend more than £400 pounds or so when you just want to have your face treated with Botox. Coming to dermal fillers, you have the Rolls Royce range of fillers and then you’ve got the ones which have got CE accreditation and nothing more. People are trying to introduce them more. They are all good, they have all been checked. But the FDA approved ones, I know they’re going to do what it says on the tin so I mostly just use those top five, nothing else. For me it is less brain work. Fillers, if they are hyaluronic acid, which are things like Juvederm, Restylane, Belotero, these are the ones that can be totally dissolved, so those they would cost anywhere between £280 per ml – going up to £400 per ml depending on the expertise of the person and where they are working from, because you’ve got to take into account that time as well. And why does a doctor hope to have to charge more? It is basically because they have to pay more to the government to actually do the work. To be in practice, a doctor has to spend almost £450 pounds each year just to remain on the General Medical Council register. Treatments offered at Reverse Time are priced fairly and in keeping with the qualifications of the treating doctor, the bespoke and personalised nature of the assessment, and the doctor’s time and skill involved in selecting and providing an optimum combination of treatments for your needs. Reverse Time treatments are not cheap. However they are priced to be affordable, and to encourage loyal patients to maintain their skin health and wellbeing. We do not believe in luxury pricing, as many treatments such as skin resurfacing and peeling for acne scars, botulinum toxin for distressing frown muscles, excessive sweating, and dermal fillers for improving the appearance of severe volume loss and scarring – are not simply for vanity, they are for improving the quality of one’s life. You understand that is it difficult to give prices for treatments without considering the nature of treatment, the type of product used, and the complexity of the treatment. The product is not the treatment. The way it is used is the actual treatment. How does your GP status change my treatment? This holistic approach to treatment is essentially what good GPs offer. When you’re a GP, the first thing you do is to look, really look at the patient. We are programmed to think holistically about the patient. And as a GP who specialised in aesthetic medicine and wellness, I particularly appreciate the intricacies of aging, and how the skin reflects what is happening in the mind and body. When my patient shows me a “line” or a wrinkle, I endeavour to see not just that, but all the problems behind that line or wrinkle. I am perfectly placed to enquire why that line is bothering that patient, what is actually causing it. I look at the entire picture. My treatment outcomes are natural and pleasing. Every patient is unique, and their results reflect that uniqueness. Most of the time, especially when it comes to women, there’s a lot of hormonal interaction in skin aging. Thankfully, I have a diploma from the Royal College of Obstetricians and Gynaecologists and I’ve had my fair share of women’s skin aging cases. I offer bio-identical hormone treatment as well. It is very important you combine these things together. You then get great results, and you can actually spend less on each treatment. It’s not like you’re going to blow your budget on just Botox, but you can get proper management, medical care. These are not “beauty” treatments, they are underpinned by medical care – your skin is an organ so treating it is medical care. Emma: So you’ve mentioned that you’re a GP also. So what makes you, because you’re a GP, so would that make my treatment slightly different? Does it make you more knowledgeable obviously on the treatments that your offer? How would that change my treatment? Aarti: So being a GP, kind of – okay it is not that all GP’s can do this great or someone else cannot. I know quite a few Aesthetic Nurses are fantastic because they put all the nursing expertise into it, and I know one Midwife who is very good too. When you’re a GP, the first thing you do is, you see the patient. We are trained to think holistically about the patient. It is always the cradle-to-grave approach. You know the stages of aging, and you are able to see not a “line” or a wrinkle, but all the problems behind that line or wrinkle, which is bothering this patient. We ask why is that line bothering that patient, and look at the bigger picture. Most of the time, especially when it comes to women, there’s a lot of hormonal interaction in skin aging. Thankfully, I have a diploma from the Royal College of Obstetricians and Gynaecologists and I’ve had my fair share of women’s skin aging cases. I offer bioidentical hormone treatment as well. It is very important you combine these things together. You then get great results, and you can actually spend less on each treatment. It’s not like you’re going to blow your budget on just Botox, but you can get proper management, medical care. It is medical care, your skin is an organ so treating it is medical care. Where would I attend for treatment? Emma: Also could you tell me where I would be treated, so if I came to see you either for consultation or treatment, whereabouts do you do these procedures? Aarti: You know how to contact me to get booked for a consultation; you call 0333-444-0567 – easy to remember – 3334440567. Someone non-clinical is going to be talking to you, so they won’t really give you medical suggestions. They will book you in for a consultation. When you come for the consultation, it will be in one of these two places: If you are in Andover or the vicinity, you can come to 31 Junction Road. My clinic is held in a suite within the Andover Smile Center, a well respected dental surgery. For those of you in and around Winchester, Hampshire, and surrounding parts, I hold my clinic in Winchester at 2 Barnes Close. The building is called St. Lawrence House, there are a few dental and orthodontic practices in the same building. It’s a beautiful Victorian style building with 4 hour free car parking on the road. Both venues are CQC monitored. They are proper surgeries. That is where you will come to see me. There is free roadside parking available around both venues. Consultation is offered at both venues, but some selected treatments may be offered at one or the other, mainly because of the equipment and machines that need to be used. Before embarking on non-surgical treatments such as dermal fillers, it is important to have a comprehensive consultation to assess whether this is the appropriate treatment for you. At Reverse Time®, your complete medical history will be taken into consideration, and you will be clinically assessed to evaluate the underlying cause of your concerns. You will be advised whether your chosen treatment is appropriate for you, or if you ought to address other skin related issues first in order for you to get the best outcome from your chosen treatment. Emma: So if I book in with you and I have the procedure or treatment, whatever it is that I decide to have, what happens then – do you just do the treatment, and then I’m left and I go away and just obviously see what happens over the next few weeks? Or do I actually come back and see you? Do you arrange for me to come back and see you so that you can also check the work; check that I’m happy, if there are any issues with anything. Are you happy to for me to contact you? Kind of, what happens after the treatment? Aarti: If you’ve come for an initial consultation, you go away with the treatment plan about what you’re going to do next, and time to think about it. You also have a clear idea of what is the cost by that time. Treatment is usually in stages. Then you come and have your first treatment when the time is right. After the treatment everyone gets a review appointment, which is free of charge, it’s a complimentary review. It is not one of those things where it’s like, checked you, oh yes you are happy, go away” . It is more to do with checking, has this done what you wanted it to do for you, and what’s the next step. Remember this is not a sprint, it’s a marathon, so we’re going to keep pace with you, your skin, your needs. And it’s about managing aging. So you’re going to manage the aging. It is not a one-off thing where you have a makeover; where you peel your skin off and send you away. You will be seen to, you will be followed up, you will have access to me, if I’ve done the treatment, so the care will be continuous. Obviously I wouldn’t want calls in the middle of the night unless it’s an emergency, but you will know how to get to reach me, you will have a helpline number when I’m with a patient, they will answer and they’re usually able to advise on what to do next for minor things; but they will always get to me to call you back to do whatever you need.